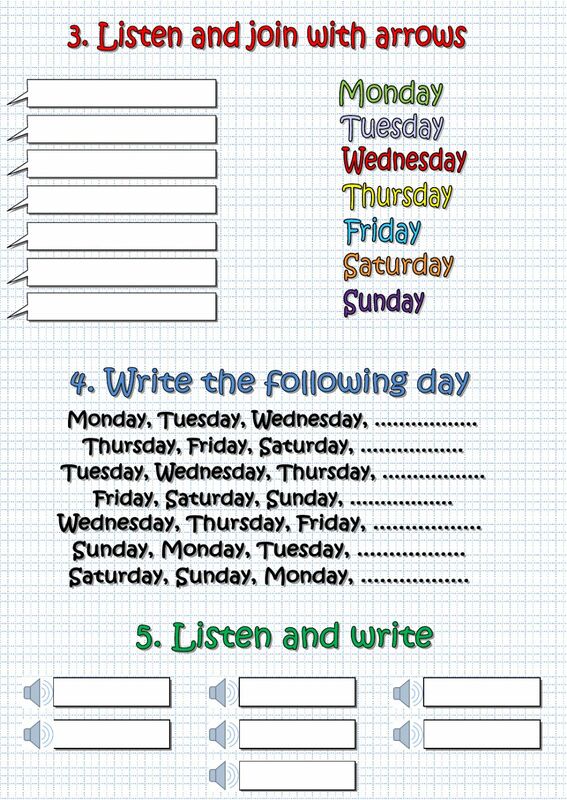 Worksheet to practice the days of the week, with reading, listening and writing exercises. 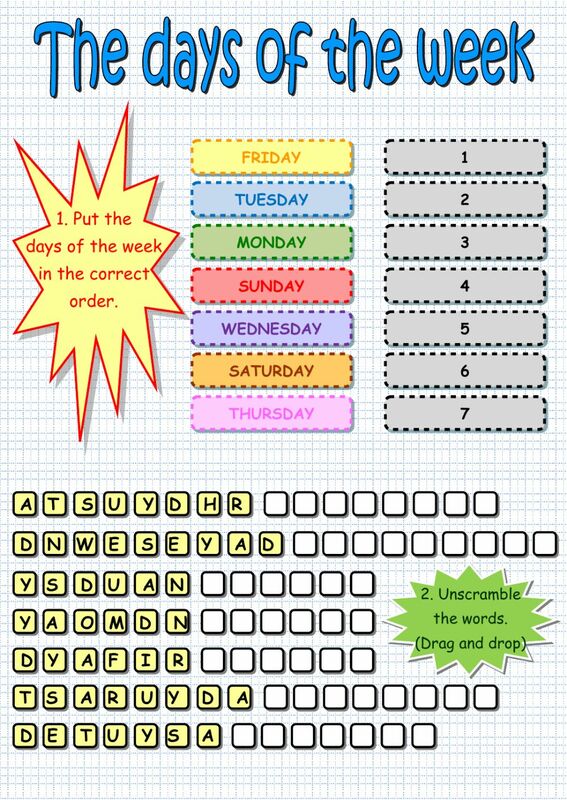 Excellent worksheet! Thanks a lot! I love that no one exercise goes out of the screen. wow! woww! it is awesome! lots of work and very useful! thanks! very interesting and useful material! thank you and good luck!